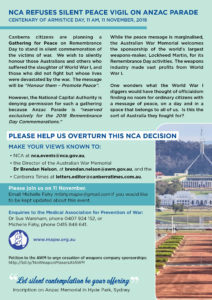 A silent peace vigil with the theme of “Honour Them – Promote Peace” planned for this Remembrance Day, has been refused. This refusal marginalises the peace message. Help us overturn this decision.